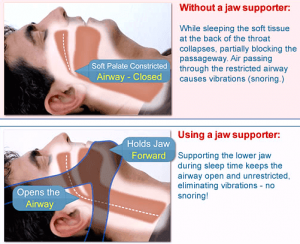 Can The My Snoring Solution Chinstrap Also Help You Lose Weight? Every night that you snore, you are robbed of quality sleep. Most people associate snoring as being a side effect of obesity. If you have extra fat in your neck, you are at greater risk of soft tissues vibrating. However, what many don’t realize is that snoring can cause weight gain. It is the perfect, “which came first?” question that you may never be able to determine. If you are considering trying My Snoring Solution because you have been gaining weight lately and you assume your snoring is because of obesity, but desperately want to break the cycle, you may be wondering how snoring even affects your weight to begin with. The connection between weight gain and snoring is linked to alterations in your metabolism. Snoring causes fatigue. Daytime sleepiness makes you hungrier, but also decreases your desire to be active. When you are tired, you are more likely to eat unhealthy food choices. You are less likely to have the motivation to prepare healthy meals and snacks, so you reach for convenience. The problem is that when you are eating sugary foods all day your blood sugar level peaks and then crashes, leaving you more tired, so you repeat the cycle. 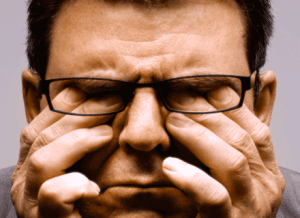 Changes in metabolism are resulted from chronic sleep deprivation. These alterations stimulate hunger. So, could losing weight be as easy as focusing on better sleep quality? It very well could. Of course, a healthy diet and exercise are always recommended, but controlling your snoring, so you sleep better could be what your body needs to help heal your metabolism. If My Snoring Solution works for you then you will wake up feeling rested and energized. This can go a long way in staying on track with your health and fitness goals.